This is the pasta shape that Liguria is most famous for. 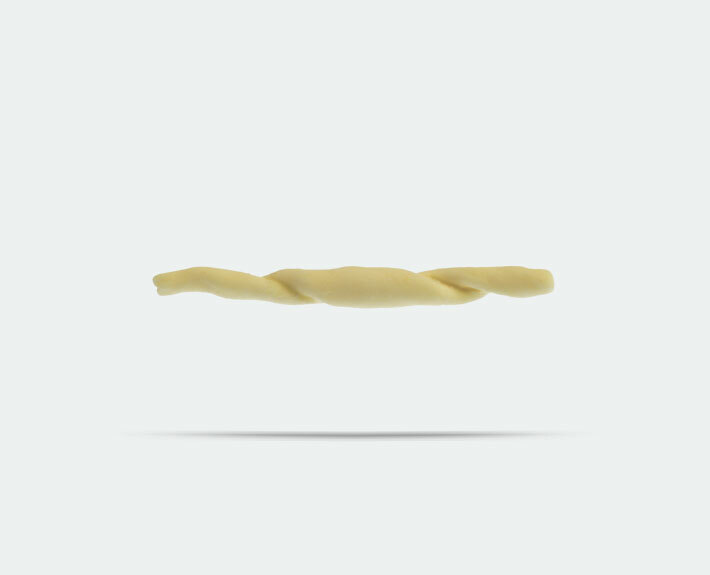 Also known as Troffie or Trofiette these little swirls of pasta with elongated ends are similar to a corkscrew about 4cm long. 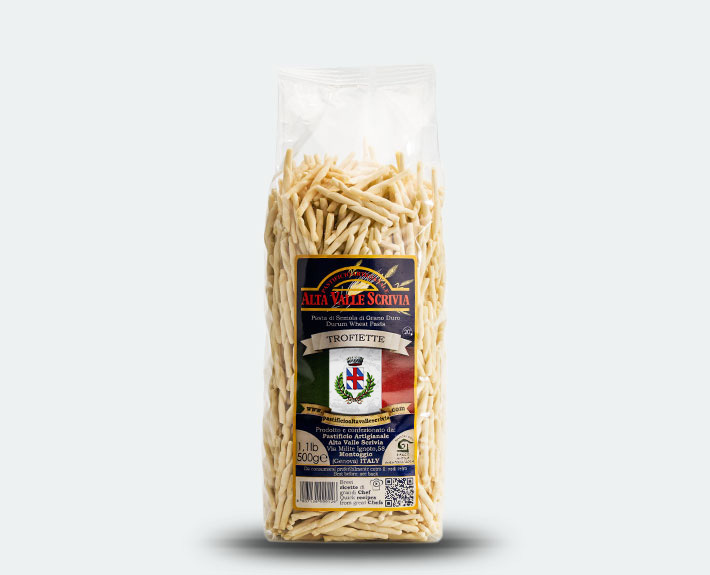 A Pasta that originates from the home, it was traditionally always made fresh. Up until the seventies, if you wanted to try Trofie you had to visit one of the small villages on the Paradise Coast in Liguria. The highly skilled women who lived in the area were able to produce large numbers in a short period of time, both for their own consumption as well as to sell for a small sum in the surrounding area. The sapient hands of the women who formed this distinctive shape have each left their mark on it, changing the shape and size of the pasta over the years and now the term is used to encompass various shapes from all over the region Each area prides itself on these differences, in what can only be described as a rich heritage of a manual art-form still passed down to this day. In the mountains for example, Chestnut flour was mostly used, as it was locally harvested, whereas on the coast where grain was traded in the port, Trofie were made using wheat flour. The coastal version, smaller than those made in the mountains are the form most well-known today. It’s Impossible to discuss Trofie without mentioning Pesto. This world-famous Ligurian sauce has become the ideal traditional accompaniment to Trofie pasta. Traditionally pound in a pestle and mortar it is said that the best pesto is made with the local basil grown on the steep terraced coastal land.Teamed with green beans and potatoes it is a true reflection of the Ligurian diet which mixes wild herbs and vegetables to great effect creating memorable and lasting dishes.